My fingers are “pruned” from all the dog baths I’ve given recently. Of course, 2-Putt, the largest and furriest of all HATES water. I would like to know how he knows he is going to get a bath before I start gathering supplies. (I know Caesar the dog whisperer would disagree, but 2-Putt KNOWS.) 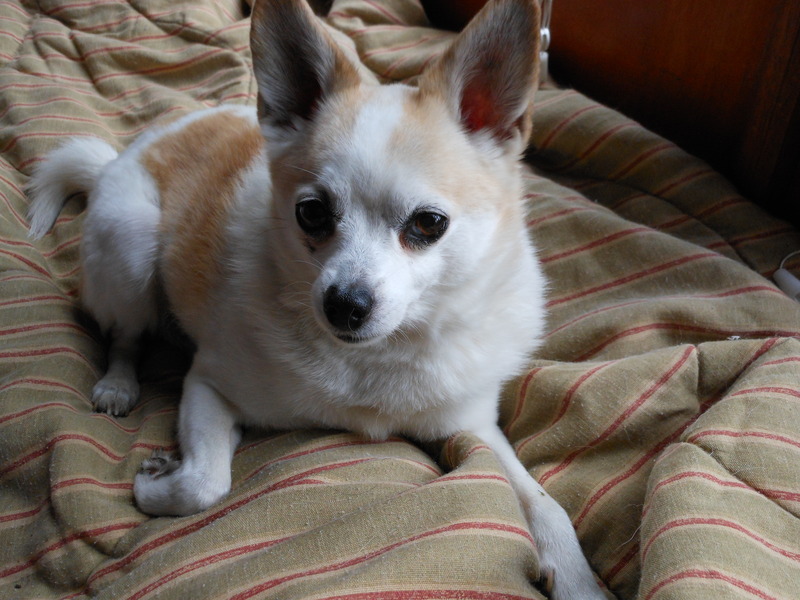 This is Tupes relaxing after yelping, running away, shivering, shaking, panting, and shedding. 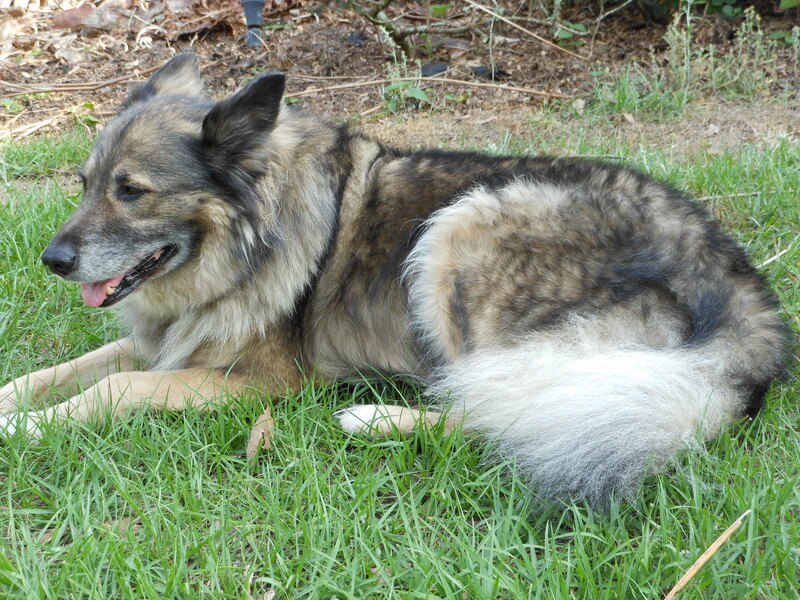 His fluffy tail is especially hard to shampoo-I can’t get it wet enough to get good lather. Eagle would prefer to bathe in the pool, but it’s still a little too cool for me. He figured out how to open the shower door, but I caught him before he escaped. He dries in about 2 minutes. 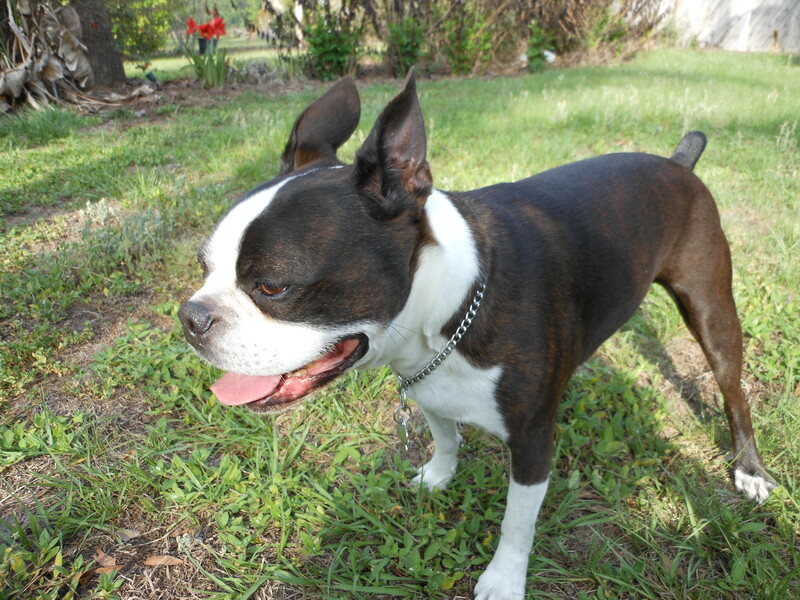 The easiest dogs to wash are Bogie and my granddog Chester. Both are good boys and stand politely while being lathered up. Bogie likes to be wrapped up in a towel afterwards. As you know Chester likes to “army crawl” all over to try to dry off. 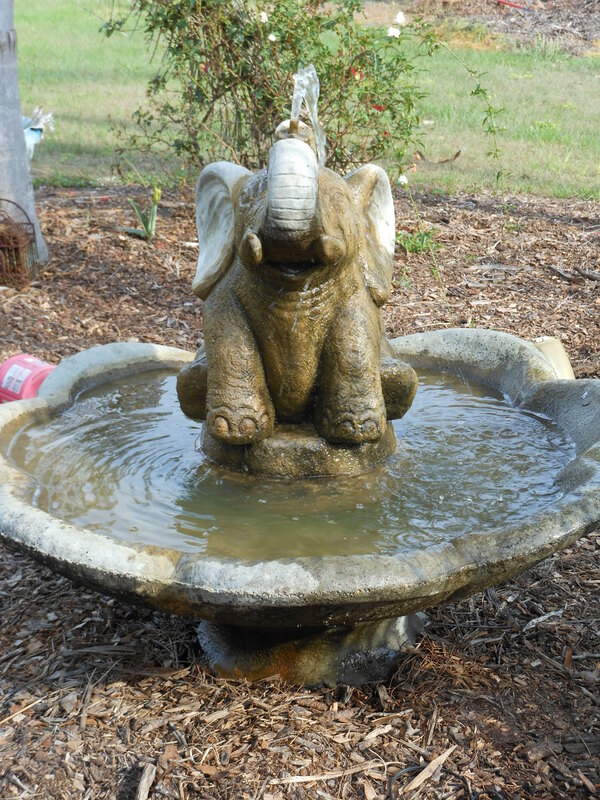 We didn’t want to leave our other animal out of the bathing frenzy..Neil freshened up Lily, our fountain. One of our readers asked about the camera I am using and in love with. It is a Nikon coolpix s6100. 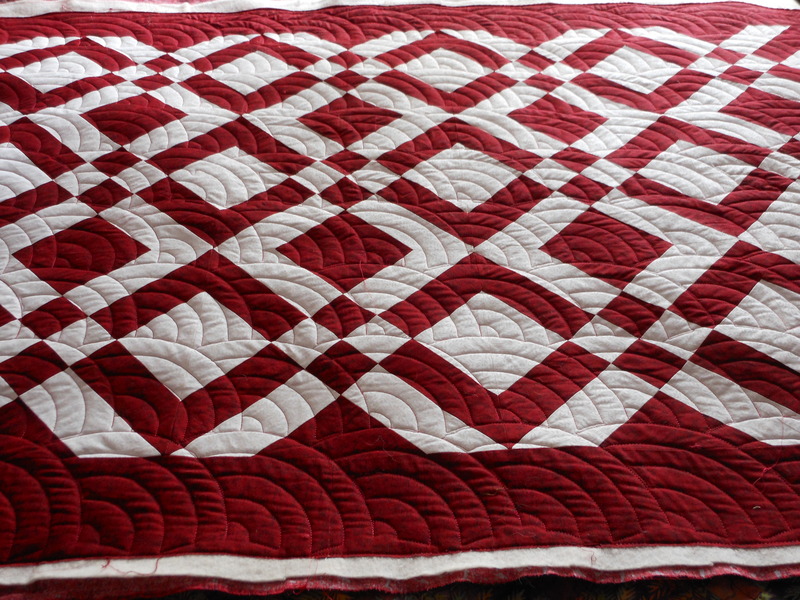 This is why I love it…the red and white quilt is finished. The quilting actually shows.